Beachkit is your one-stop-shop for "everything you need at the beach". Serving beach goers with summer products all year around, we understand that you need your beach stuff before you venture to the beach. We are a privately Australian owned company based on the sunny Mornington Peninsula in Victoria. When warm beach weather is scheduled we plan our week around going to the beach either at a bay or surf beach near our home. 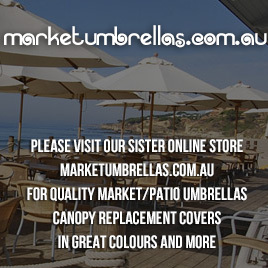 In recent years prior to setting up beachkit.com.au we had been frustrated in not been able to buy decent beach products including beach umbrellas, tents or chairs without paying the king’s ransom, then to find the quality fail after a few uses. We are continually researching the worlds market’s to find the best quality beach stuff at the most affordable prices. We have strong business partnerships with large international beach gear wholesaler/ retailers and reputable, reliable and qualified overseas source points with over fifty (50) years experience in manufacturing. Because we are dealing direct with the top factories in the world we can offer you the best quality products at the most affordable prices. We stand by our products and if there is any query with the quality of your purchase we shall gladly review your purchase. Also our FOLDING BEACH CHAIRS are always made of high quality aluminium which does not rust in the salt water/ air, with strong hardwood arms and provide a level of comfort- of high back, wide and strong folding beach chairs never before seen on the Australian beach. At beachkit.com.au we are committed in providing you with honest, fast and reliable service. 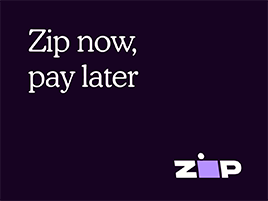 Our statement to you, our customers, is to provide the best customer service. We look forward in hearing from you with any questions, comments, praises or concerns. We realise you have a number of choices where you can shop, so many thanks for coming to our site. For making the effort in coming to us we promise excellent products at the best prices with outstanding customer service as you should expect. We believe in providing outstanding service, especially for the best quality and affordable beach gear our goal is to gain your complete satisfaction to keep our business successful and growing. If you're looking for something you don't see on our site, drop us an email because with our international contacts there is a good chance we may be able to find it for you.